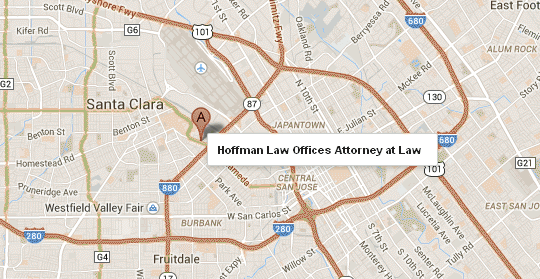 Led by Attorney Kirk Hoffman, the Hoffman Law Group has achieved superior results for its clients for more than two decades. Kirk is driven by a commitment to providing each client with the best resolution possible. He has handled thousands of cases and maintains a 98 percent success rate for all practice areas. The following results are just a small sample of the victories Kirk has obtained for his clients. Saved a client’s home by defending a constructive trust/fraud lawsuit brought by a relative in Santa Clara County. Favorably settled a $1,000,000+ lawsuit brought against the seller of multi-unit complex in Santa Clara County. Defended a landlord and management company against retaliation allegations brought by a vindictive tenant, resulting in a unanimous jury verdict in the client’s favor. Defended and successfully countersued on a breach of lease claim for a commercial tenant in Santa Clara County. Protected and removed a neighbor’s obstructions across a client’s prescriptive easement via a quiet title, injunction, and damages action. Established title to real property following foreclosure in Fresno County. Defeated a frivolous lawsuit to set aside a trustee’s foreclosure sale. Obtained and defended multiple judgments for various clients in commercial lease cases. DISCLAIMER: These cases are shown for informational purposes only. No two cases are exactly alike. Every case has its own specific factual and legal circumstances and must be adjudicated on its own merits. The information provided concerning outcomes in these representative matters is not a guarantee or suggestion of future results.